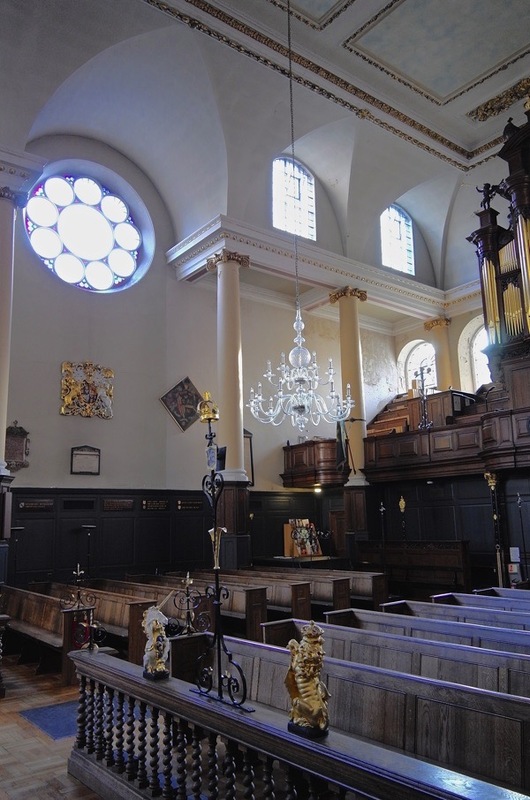 If you should pass by St James Garlickhythe on a Thursday evening when the bellringers are practising between six-thirty and eight, you can be assured of hearing the Royal Jubilee bells echoing and resounding through the surrounding streets. 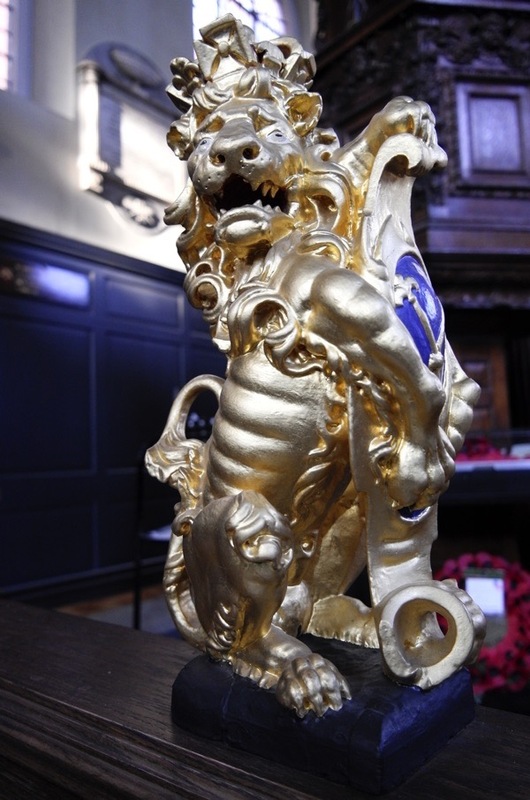 As I arrived to join the ringers last week, the last steep-angled shafts of sunlight entered Sir Christopher Wren’s church, picking out ancient monuments from the gloom and highlighting the quaint lion and unicorn figures in their dying rays. Ascending a narrow spiral staircase within the wall of the tower, I arrived in the tiny ringers’ chamber, whitewashed and carpeted in plum. 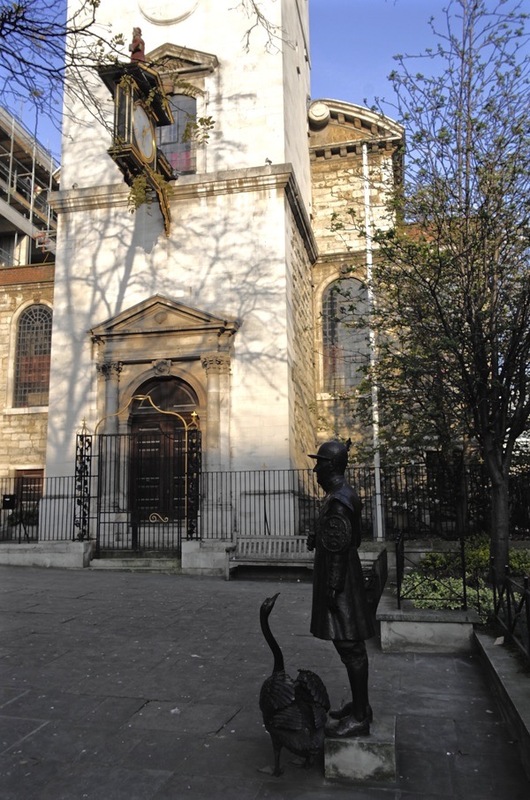 Here the ringers stood in a ritualistic circle under the tutelage of Dickon Love, who is the Magus of bell ringing in the City of London and author of the authoritative Love’s Guide to Church Bells. A certain shared understanding characterises these gatherings, as ringers share a common quality of implacable concentration while engaged in their task. They are concentrating on maintaining the physical task of rhythmic pulling and catching, yet remaining alert to the actions of their fellows too. Observing this activity, watching the ropes bobbing and listening to the bells overheard proved a mesmeric experience. For me, there is magic in the sound of bells. It is music in which – to my inexperienced ear – its several instruments seem to merge and divide, even as you are aware of their sound coruscating in the air around you. 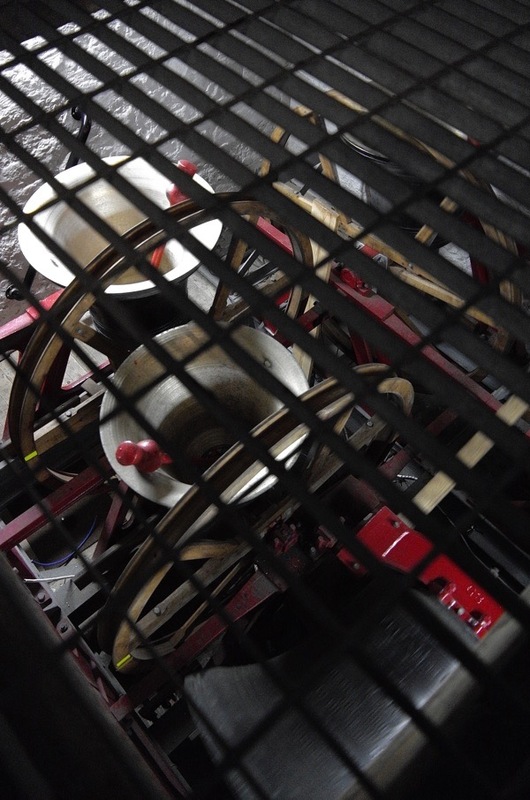 During practice, I climbed up to the floor above the bells – attired with ear protectors – to observe them in action through a metal grille. Peering from a darkened room at the brightly-lit spectacle of the vast gilt beasts wagging their long red tongues did not disappoint. At first, I was alarmed that the ancient wooden floor shifted with their vibrations, almost as if I were on a boat. Placing a hand upon the rough stonework wall confirmed that it too was moving. 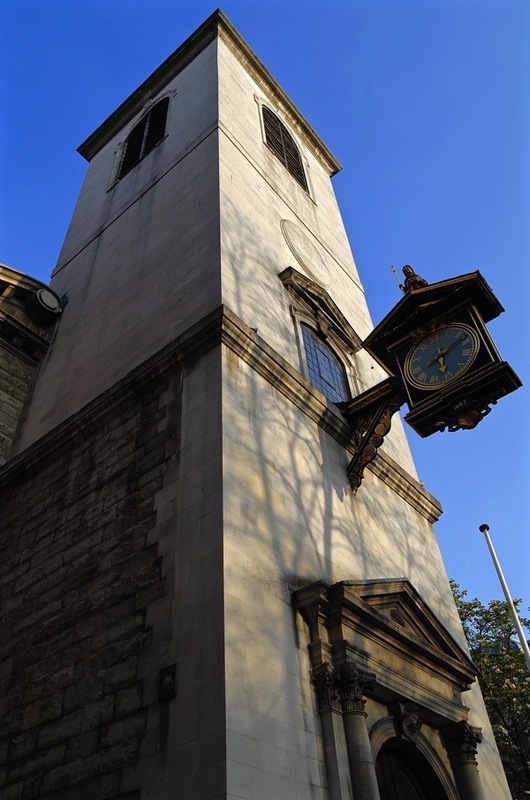 Yet I was assured this movement confirmed my safety – since the sheer weight of the tower ensured its stability, while the tensile quality of its timber floors and flexibility of its stone walls held together by lime mortar prevented it cracking. 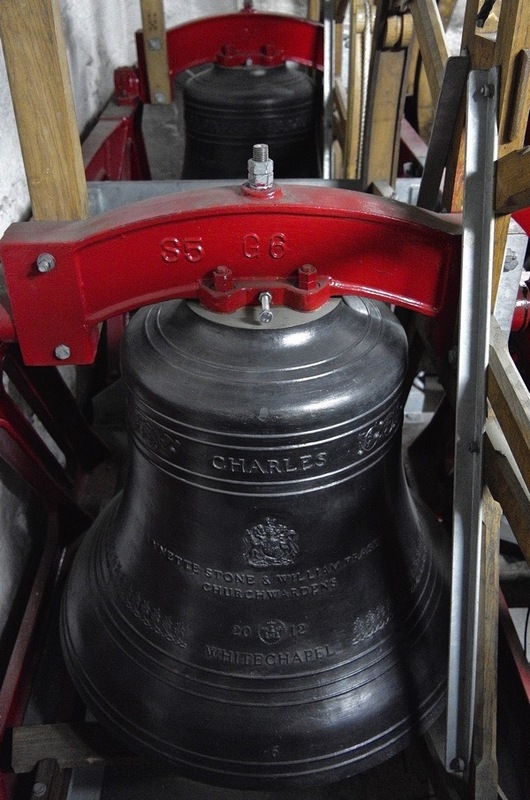 After practice, Dickon took me into the belfry to admire the eight Royal Jubilee bells cast at the Whitechapel Bell Foundry at close quarters. 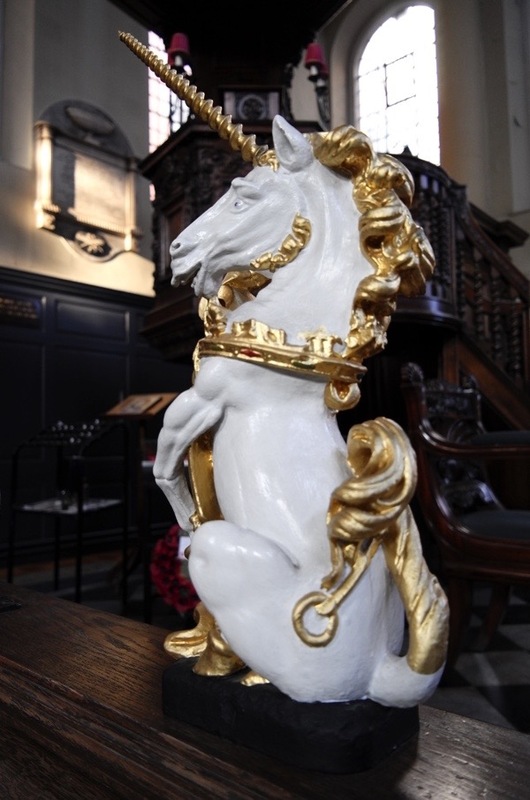 They were first played from a barge that led the Water Pageant upon the River Thames on 2nd June 2012 before they were installed in St James Garlickhythe later that summer. 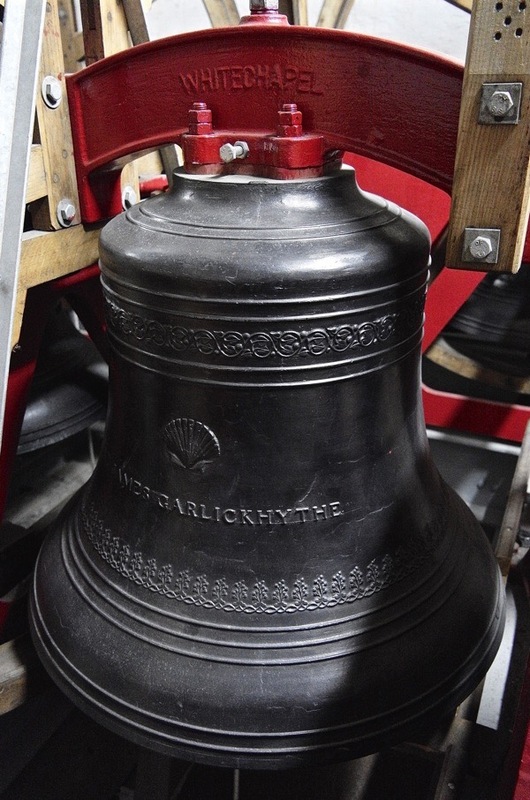 As the one who conceived and oversaw the commissioning and realisation of this grand conception, Dickon is justly proud of his achievement which is recorded by the text ‘Dickon Love put us here’ upon the F Double Sharp bell. 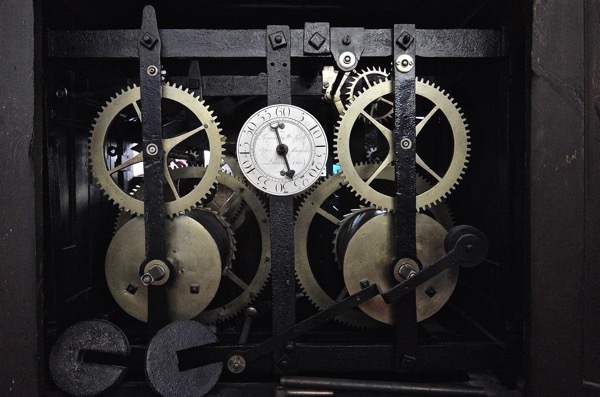 Upon our descent from the tower, Dickon revealed he was celebrating his birthday next day but also – and perhaps more importantly – he commenced his ringing career on the eve of his thirteenth birthday, making him thirty-four years a bellringer that night. 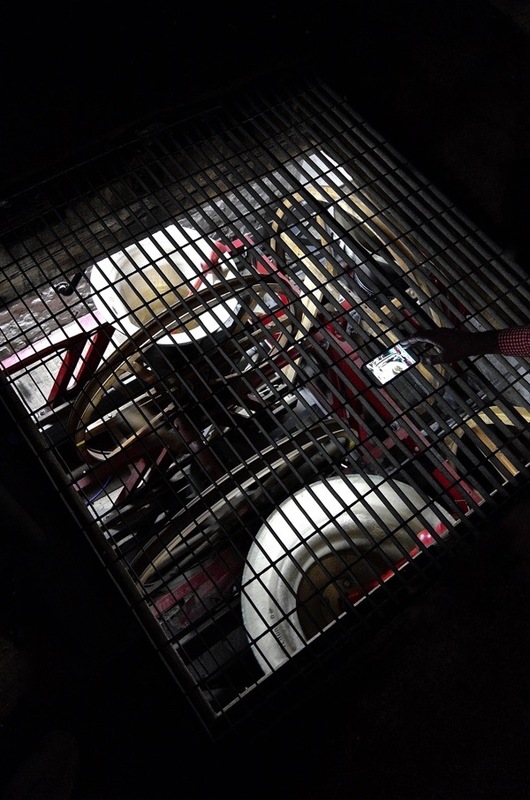 I said my farewells to the thirsty ringers at the top of Garlick Hill as they made haste to The Watling for refreshment and celebration, while I turned my own steps across the City towards Spitalfields. I am really enjoying these bell related blogs. 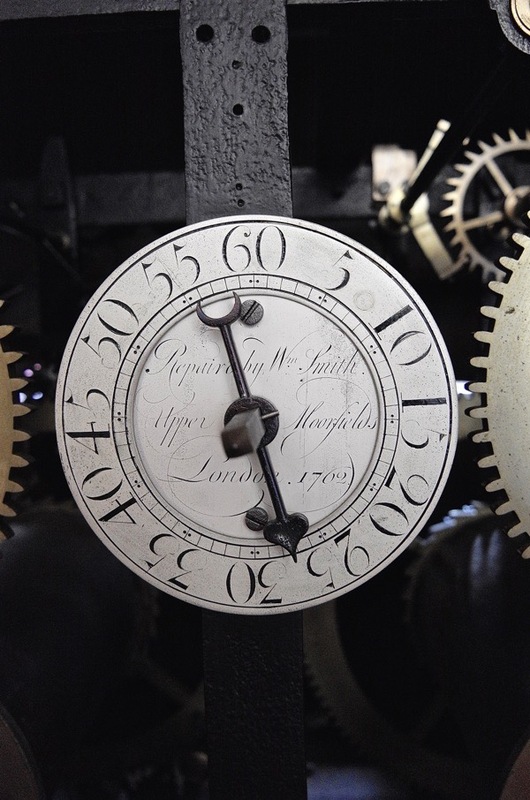 Where will churches get their bells if we lose specialist makers? Such a jewel of a church. Always think it a shame that the street is curiously curtailed. Bombs and developers. Joyous. Perfect for a spring morning. And thanks especially for the video and sound clip to bring it all to life. On a brief visit to London Tony and I managed to visit the bellfoundry – unfortunately on a day when nobody was working but we were welcomed and told about the bells which were to be floated down the river! 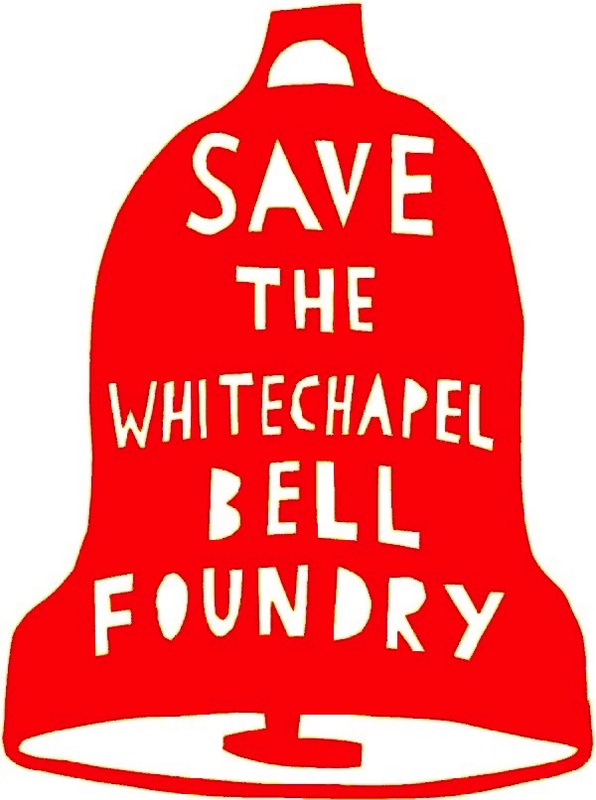 We were really upset to learn that the Whitechapel Bellfoundry was to close.